When it comes to getting in better shape and increasing your fitness, there are multiple facets of your routine or program that need to be considered. Should I find a dedicated athletic training center to work out at or can I do it from home? Do I need the help and coaching of a certified personal trainer or do I have the discipline and knowledge to accomplish my goals without one? Depending on the answers to those questions, the Training House in Baltimore can help. Call us today to speak with one of our personal trainers, and read on in today’s blog for answers to another important question — which is more important for my goals — diet or exercise? A balanced, healthy diet that meets the needs of your fitness goals is crucial to your success. All the strength training and fitness classes in the world won’t help a whole lot if you are careless about how you fuel your body calorically. Typically, you can start to see weight loss with small adjustments to your diet. In terms of a caloric equation, burning more calories than you eat each day will help you lose weight. Many people find that the first 5-10 pounds really aren’t that bad when they simply watch how much they consume and limit their unnecessary caloric intake from activities like drinking alcohol or eating unhealthy foods. As time goes on and you progress further towards your goal, your diet must become more refined to continue to see gains. Cutting out the right kinds of fats starts to matter more. Ensuring that you have enough influx of protein for your muscle gains starts to have a tangible effect. Eventually, even the times of day and frequency that you are eating can become the difference maker. The more successful you are, the more important it becomes to seek professional help from a nutritionist or nutrition certified personal trainer, making your diet one of the most important factors in your successful fitness journey. When it comes to increasing your levels of activity in order to burn more calories and leverage your dietary habits to the maximum, using a personal trainer and having a consistent athletic training facility goes a long way. The nature of your exercise routine can heavily impact the physical results that you achieve. Some levels of cardio workout are better for improving your cardiovascular health and recovery times, while others are a better way to increase your metabolism and shed stubborn pounds. If you’re looking for strength training and muscle building, proper technique, the right workout program, and access to knowledge from a certified personal trainer will help you see better gains while limiting your risk of injury and setbacks. Knowing the right exercise to do and the proper way to do it will allow you to successfully achieve your athletic fitness goals over time, making the way you exercise a crucial part of your total fitness journey. Anyone who hopes to successfully lose weight, increase muscle, or shape their body needs to be acutely aware of both their workout habits and their diet. They are ultimately two sides of the same coin. Furthermore, your goals, your body, and your initial ability make you and your needs entirely unique. 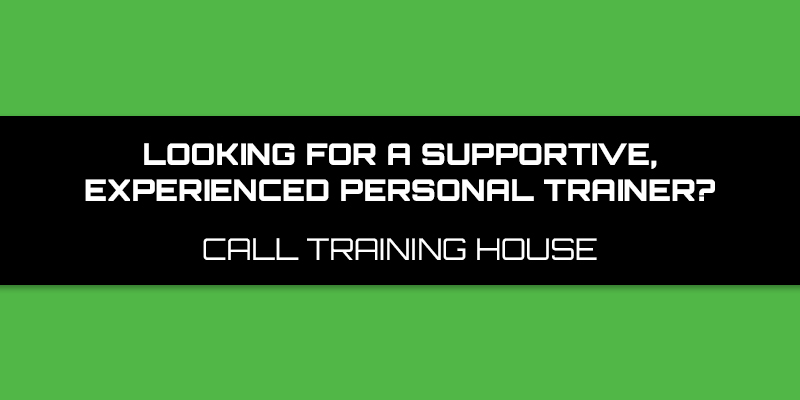 Let the personal trainers at Training House learn how we can help and create the right plan for you by contacting us today. We love nothing more than helping people find confidence, fulfillment, and success through fitness.